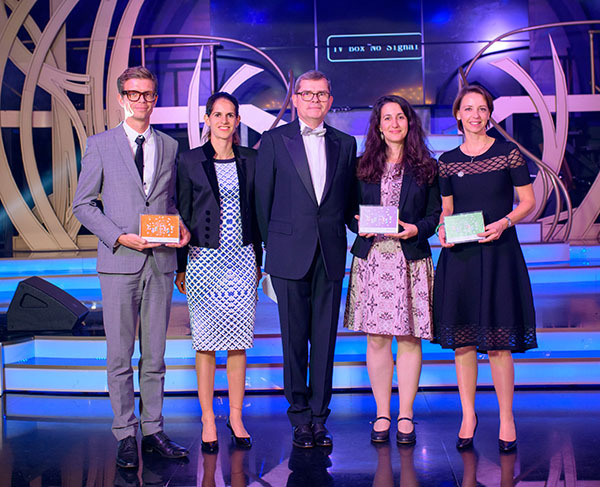 Bulgarian Posts, bpost and Le Groupe La Poste Awarded by the PostEurop 2018 CSR "Coups de Coeur"
PostEurop proudly announced the winners of the 2018 "CSR Coups de Cœur" awards on the occasion of its 25th Anniversary celebration event on 4 October in Tbilisi. The awards recognise best practices in the field of Corporate Social Responsibility (CSR) amongst European Postal Operators in the areas of Employees, Society and Environment. Several external experts with experience in CSR participated to the final jury for the selection of the 2018 Coups de Coeur. As per previous editions, the exchanges among the expert jury members were very intensive given the high quality of different nominated practices. Congratulations to all the winners!